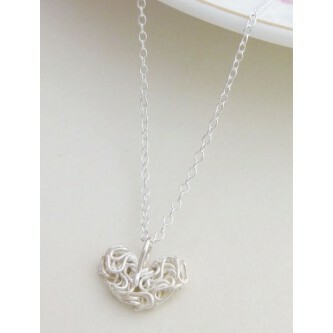 Very pretty sterling silver mesh heart pendant set on a fine sterling silver chain, the perfect gift for a young woman. 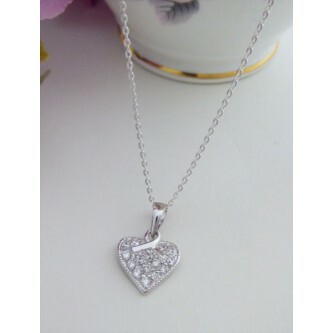 The romantic Mothers Heart sterling silver necklace is the perfect gift for your loved one! Pretty, cute and fun, this 'Love' necklace has lots of intricate touches to make a meaningful gift. 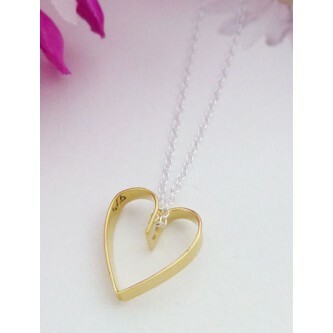 Delicate, graceful and romantic, the Tiffany gold heart necklace looks amazing on! 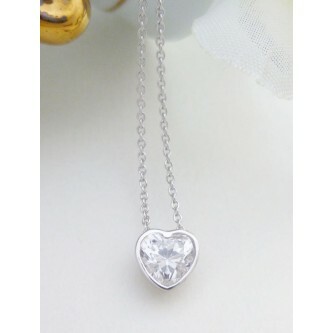 A gorgeous floating cubic zirconia heart that oozes elegance and grace, sits simply and prettily on your neck! The Bethany, an ageless design and a perfect ladies heart necklace in sparkling sterling silver! A gift with love, the Amethyst purple heart shaped pendant necklace is the perfect present with sparkle and style! 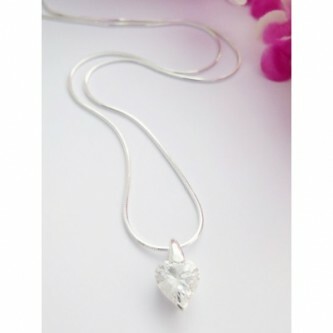 Sterling silver heart pendant necklace featuring a large white cz stone, love is captured exquisitely! 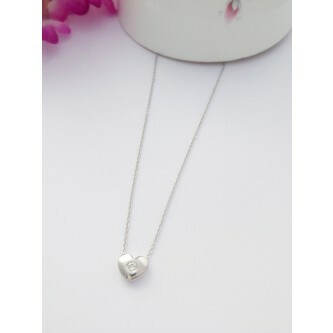 Our beautiful range of Guilty sterling silver necklaces with heart pendants are the perfect gift for your loved one. With free UK delivery and packaged in our bespoke Guilty Necklace box, your wife, girlfriend or loved one will treasure one of our necklaces with heart pendants forever. Our gorgeous range of necklaces with heart shaped pendants have been designed for love, romance and style so that you will enjoy wearing your Guilty Necklace knowing it holds a strong sentimental meaning. Necklaces with a heart shaped pendant in a stone and sterling silver are always a popular choice and we are delighted to offer a stunning collection of heart pendant necklaces that are made out of 925 sterling silver. We have a variety of heart pendants and necklaces from sparkly cubic zirconia, vintage styled lockets and other beautiful stones. All of our ladies necklaces and pendants have been hallmarked in the UK and we are pleased to offer you a collection of necklaces with hearts that are unique and different to what you find on the high street.